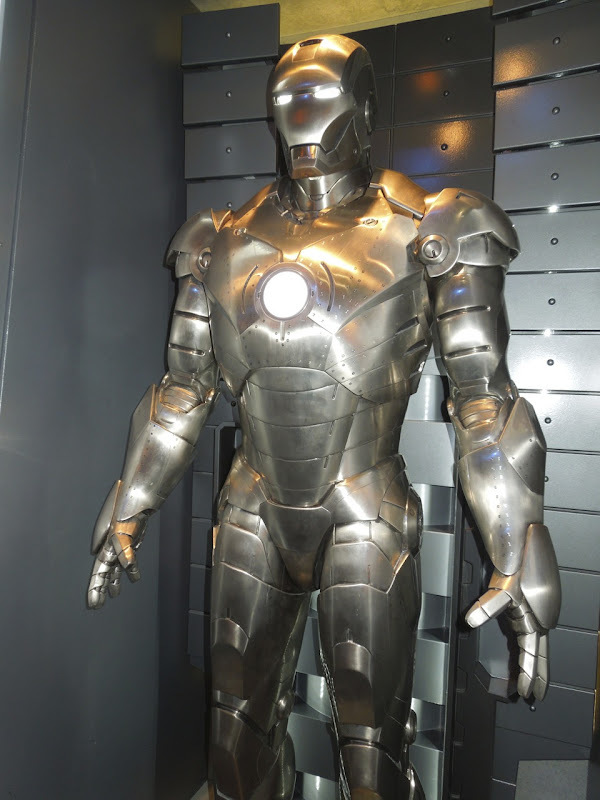 In Iron Man's 2008 first solo outing and origin movie, Tony Stark builds this shiny Mark II suit after escaping his terrorist captors, which he then gives a more flambouyant, sleek red and gold paint job. 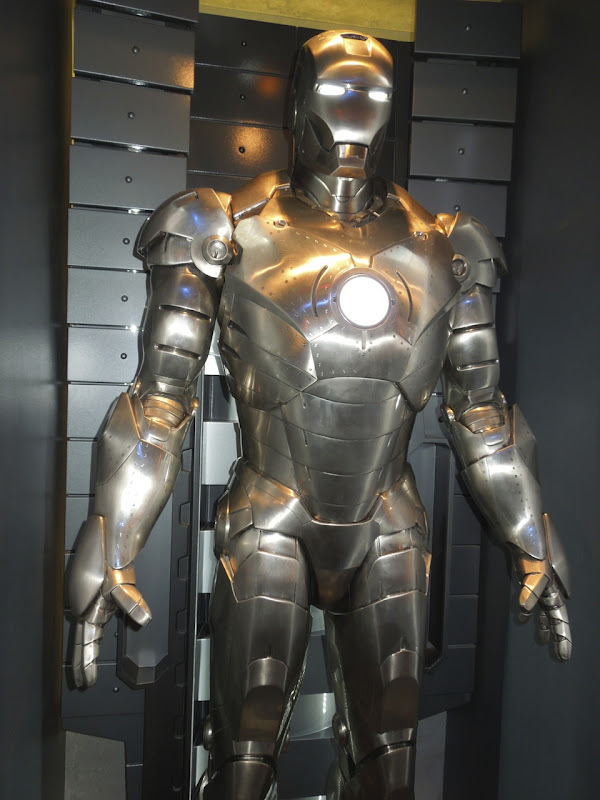 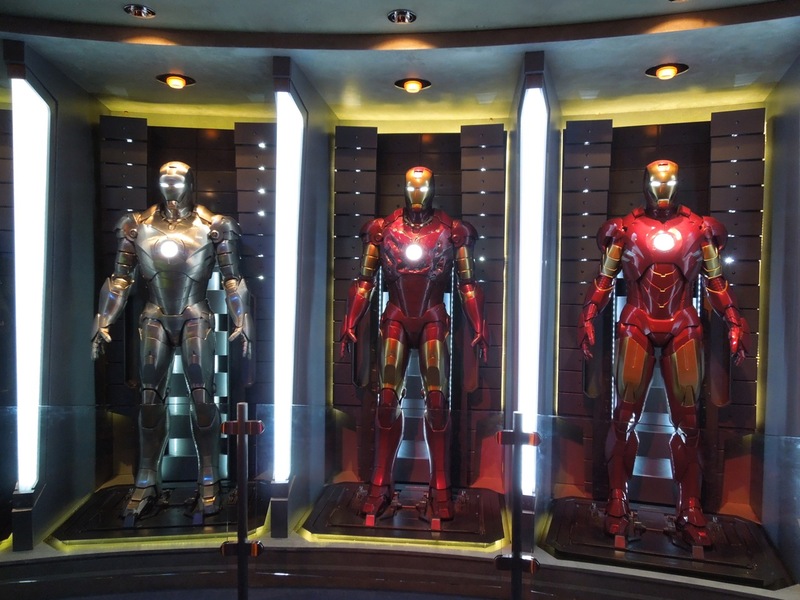 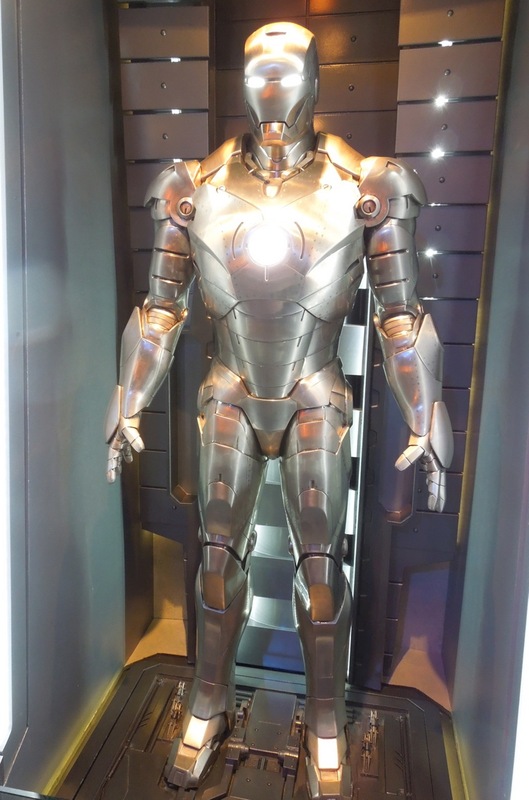 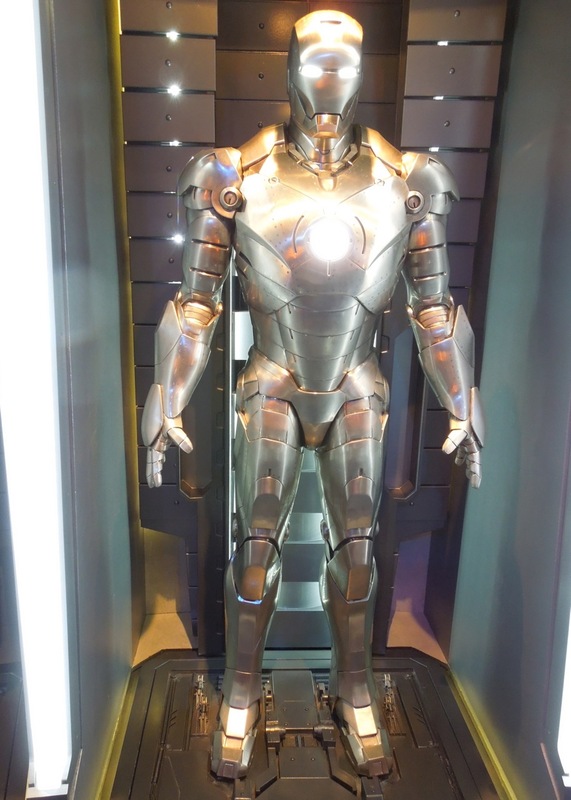 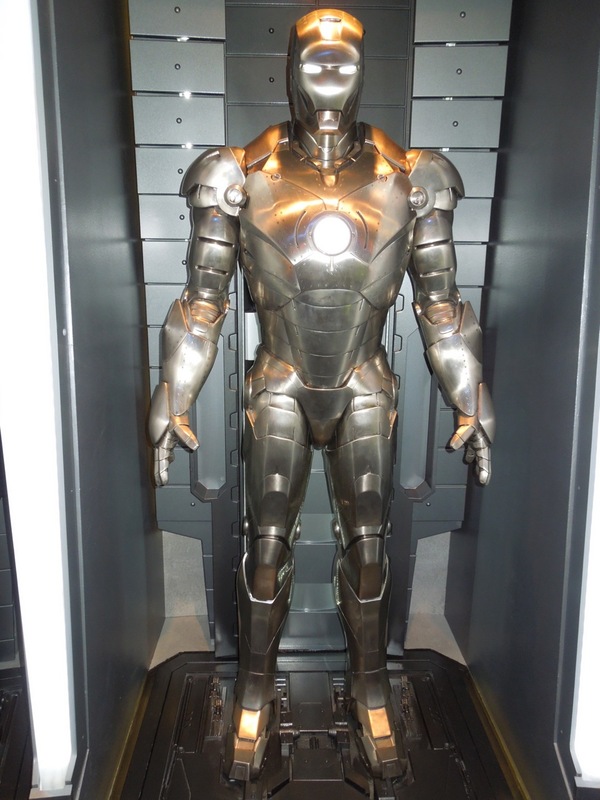 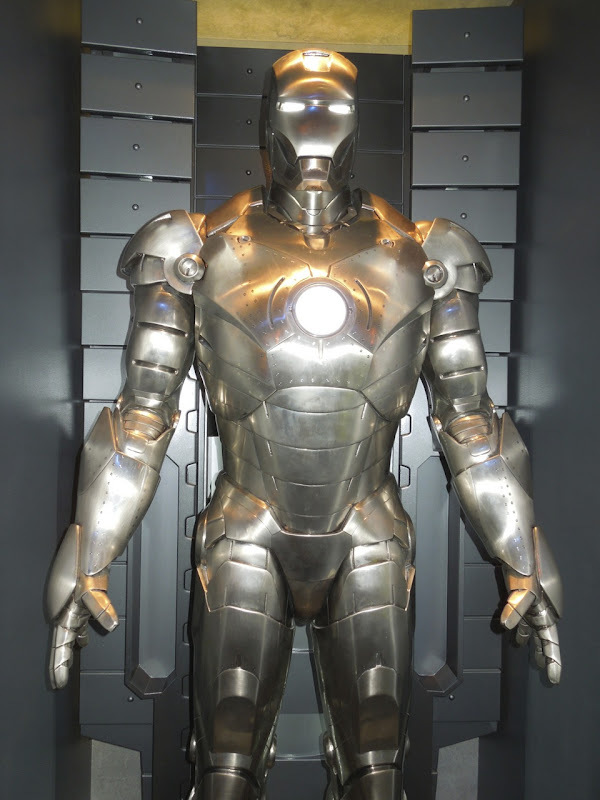 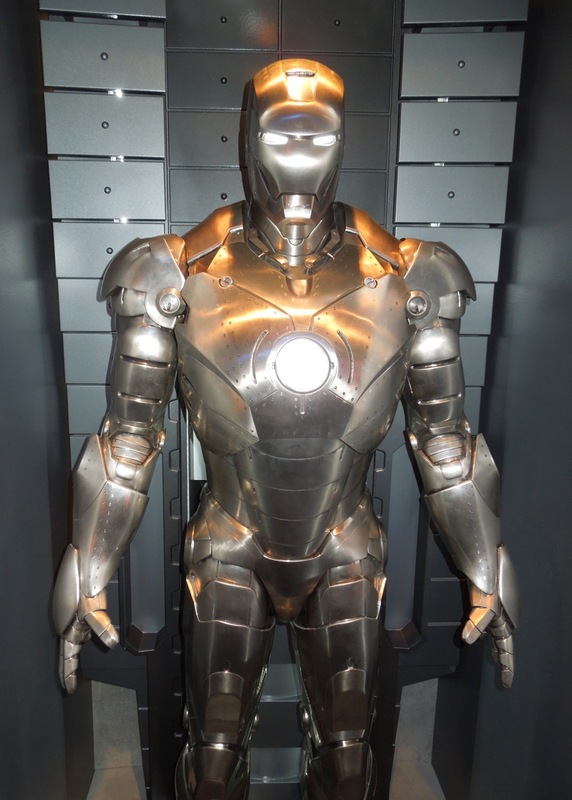 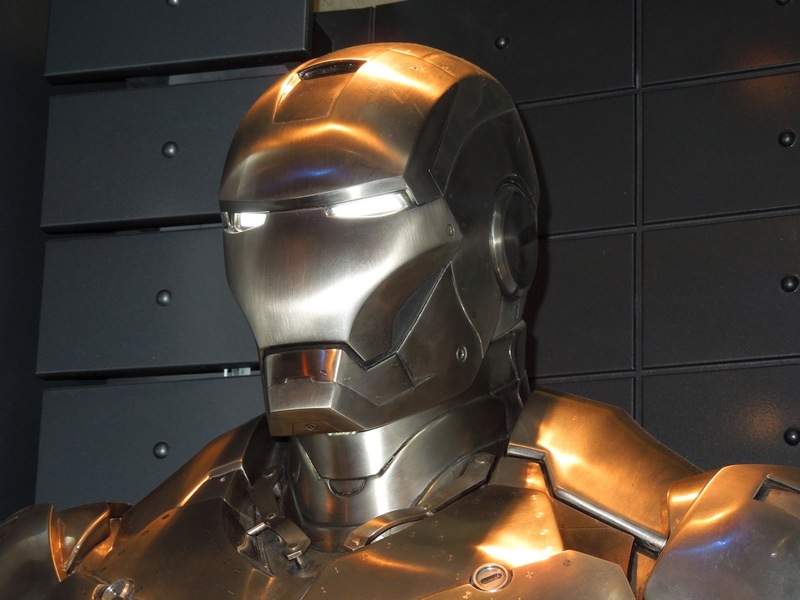 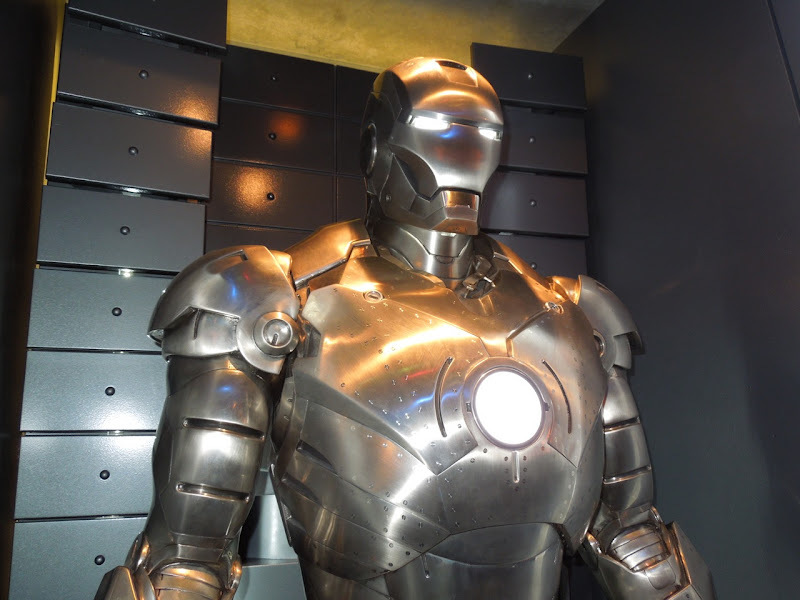 These life-size previous generation suits featured in Iron Man 3 were photographed at Disneyland's Innoventions attraction on April 17, 2013, where they are temporarily on display to help promote the new movie. 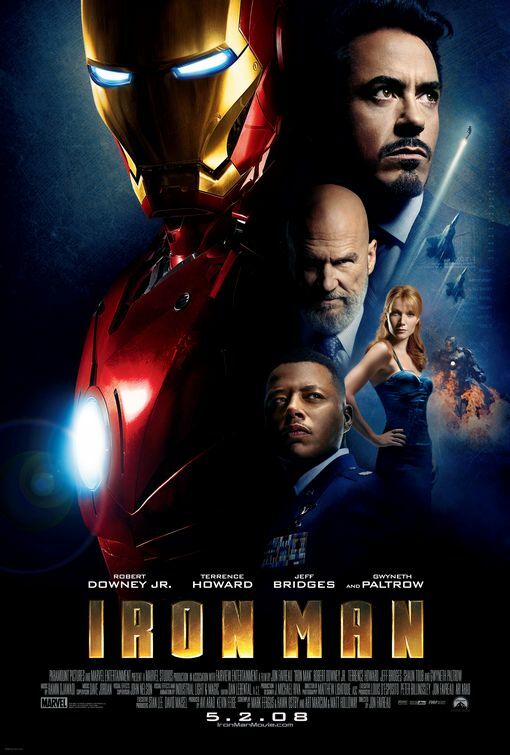 In the 2010 sequel, his best friend James 'Rhodey' Rhodes is forced to don the gleaming Mark II suit to subdue a drunken armoured Tony Stark, which he then turns over to the U.S. military. 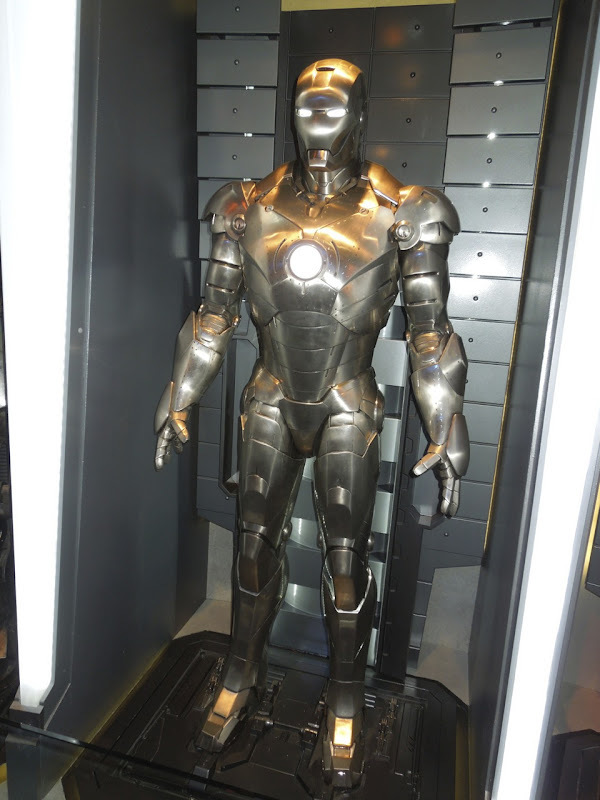 I have to say, I loved being able to see all the rivets and joint details up close on this unpainted model, Marvel really did an awesome job of translating Iron Man from the pages of the comics to the big screen with these high-tech looking suits. 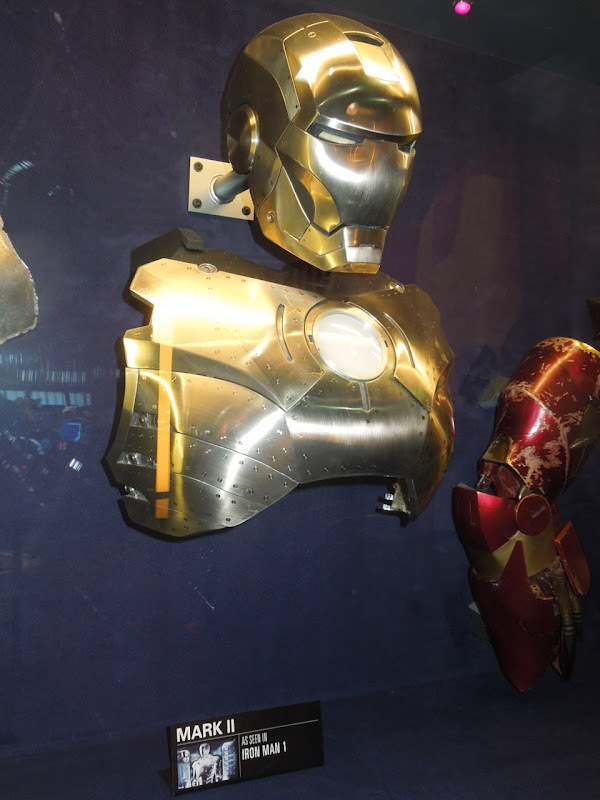 Also on display beside the full-size armour were these original helmet and chest plate pieces from the Mark II suit as worn, I'd assume, by Robert Downey Jr. in the first Iron Man film. 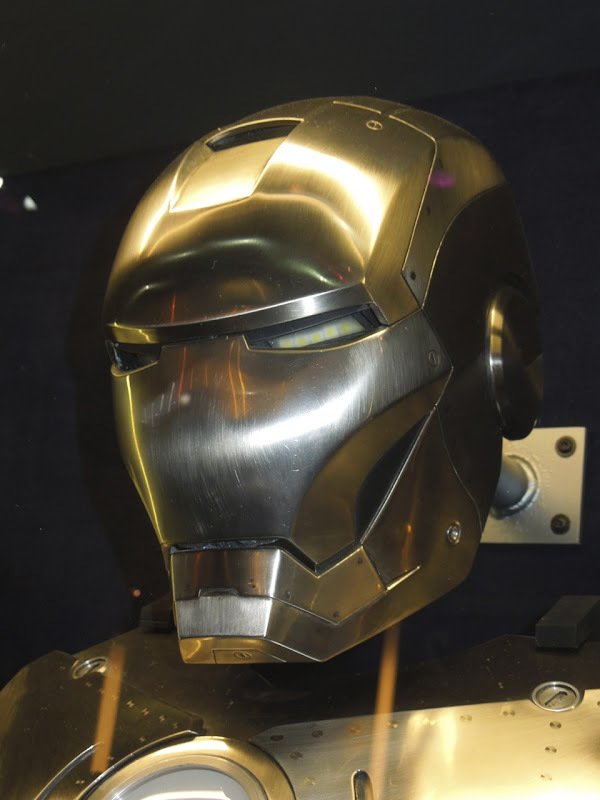 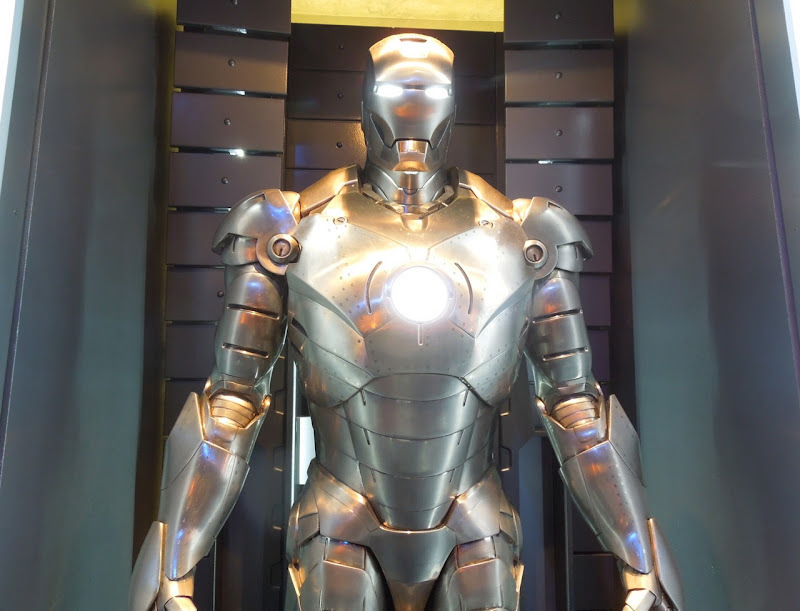 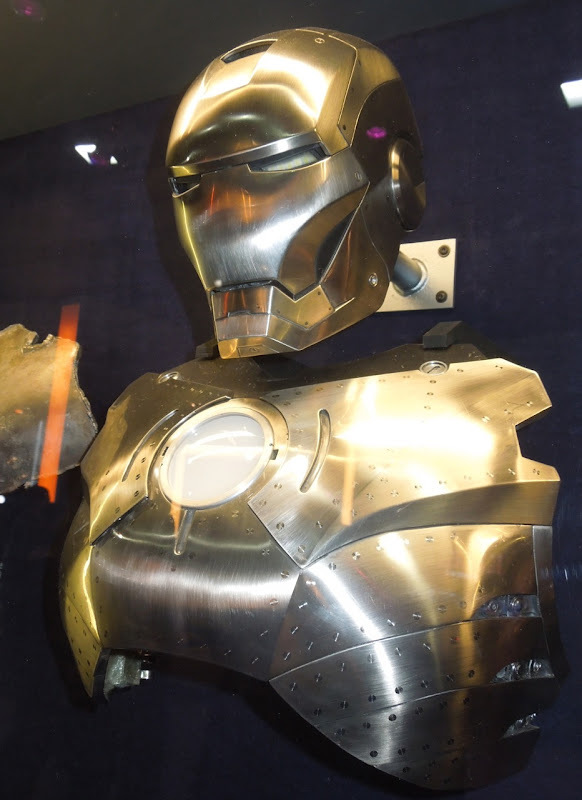 If you like this suit, be sure to check out Tony Stark's original Iron Man movie armour he made from scrap metal, plus the latest Iron Man 3 movie suit on display.